The manufacturer of RFID-tag UMKa100 is GLONASSsoft. 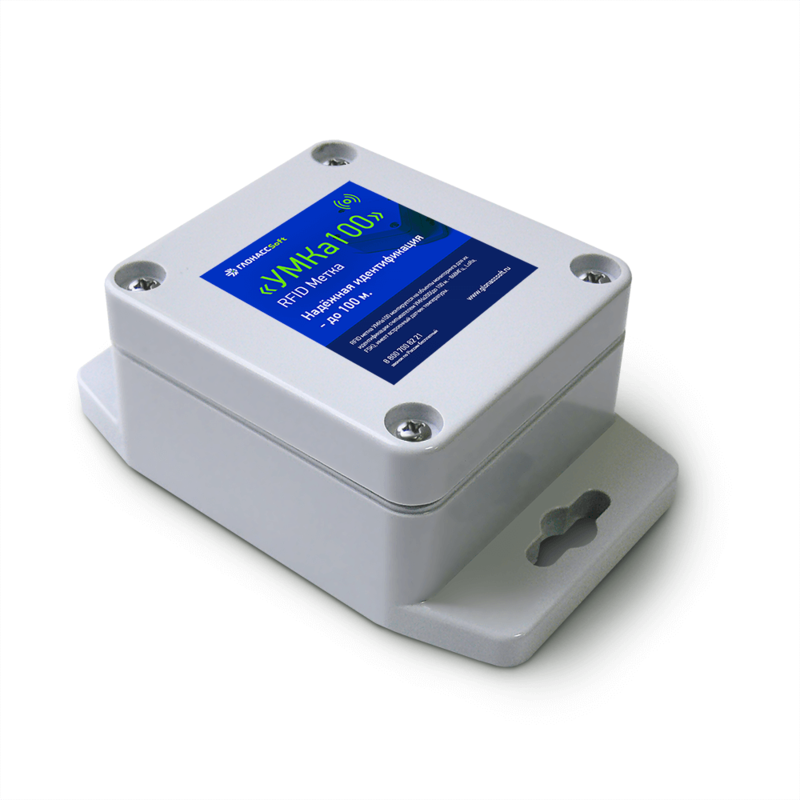 UMKa100 is designed to identify stationary or moving monitoring objects. The device is used in conjunction with the RFID-reader UMKa200. RFID tag UMKa100 is able to transmitting a identification data to a distance of up to 100 m by radio signal at a frequency of 868 MHz, processes the activity of magnetic field sensor. The RFID-tag supports the possibility of changing the power of the transceiver, the transmission period of the data, the identification number and the subnet mark. The device is ready for use for at least 3 years and does not imply the possibility of replacing the battery or internal components. Has "sleeping" mode with low power consumption.